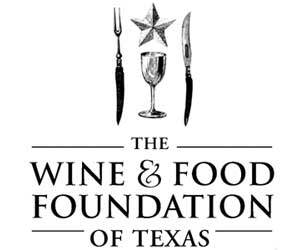 The Wine & Food Foundation of Texas is a nonprofit membership organization committed to the excellence of food and wine. To achieve this mission, the Foundation raises money through membership dues, sponsorships and signature wine and food events to fund scholarships, grants and innovative programs in the culinary and viticulture arts. The Foundation has awarded over $2 Million in scholarships and grants to date. In addition to charitable projects, The Wine & Food Foundation of Texas has several hundred members and partners passionate about the origin, quality and artistry that go into the food we eat and the wine we drink. Understanding that food and wine are essential to our wellbeing, character and culture, our members are enthusiastic advocates of the Foundation’s mission. In return, the Foundation offers unique classes, exclusive tastings and special events to our members for their education and enjoyment.